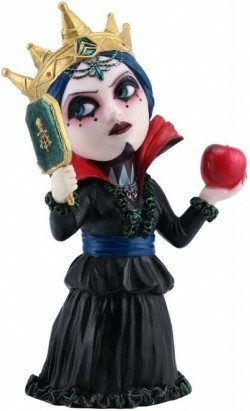 Figurine of Wicked Queen armed with the Magic Mirror in one hand and poisonous apple in the other. Made from a high-grade solid resin. Highly detailed and from the popular Nemesis Now range. Solid and weighty figurine. Cosplay kids collection.